Jazz requires a constant reinvention of melodies and rhythms; it affirms what came before even as musicians improvise and reinterpret to create something altogether new. Damien Chazelle’s La La Land may seem deceptively frivolous at first glance, an old-fashioned Hollywood musical filled with splashy, bright-colored visuals, and characters who burst into song at random. But the philosophy of jazz serves as the writer-director’s inspiration both on and off-screen. 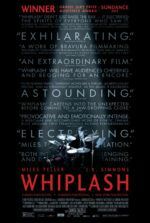 As demonstrated by his 2014 sophomore effort Whiplash, Chazelle’s evident love of jazz and music in general seeps into his films. With La La Land, he composes a loving ode to the cinema of yesteryear; however, the film plays less like a replica of dream factory razzle-dazzle than an urgent call to appreciate how the traditional can be lovingly formed into something new. Though well-viewed cinéastes will spot Chazelle’s numerous filmic influences in any given scene of his bright and magnificently entertaining musical, its lively formal energy and affecting narrative amount to more than a simple homage. From the film’s first moments when “presented in CinemaScope” appears onscreen, Chazelle’s unabashed love of classic cinema becomes apparent. Films like Brigadoon or Seven Brides for Seven Brothers helped popularize the ultra-wide format in the 1950s. But in the subsequent decades, CinemaScope proved too expensive and, much like musicals, went out of fashion for a few decades after the emergence of the New Hollywood. Gradually, titles from Moulin Rouge! to Pitch Perfect have reacclimatized audiences to the musical, although never quite to the same size and spectacle of those soundstage exhibitions from decades ago. And with the advent of digital cameras, film stock itself has become a novelty pursued only by purist directors (Christopher Nolan, Martin Scorsese, etc. ), while CinemaScope is rarer still. Just as Quentin Tarantino did last year with his 70MM showcase of The Hateful Eight, Chazelle takes a larger-than-life format and turns it into something at once grandiose, yet also intimate. Even though its heart lies in the past, La La Land takes place in modern day Los Angeles. Struggling jazz pianist Sebastian (Ryan Gosling), also called “Seb,” and aspiring actress Mia (Emma Stone) seem to circle one another through chance and fortuitous meetings. Cynical about his chances in L.A., Seb delights in jazz legends and obsessively tries to recreate their magic, even when he’s been hired to play “Jingle Bells.” Mia worships movie stars like Ingrid Bergman and dreams of becoming a star. She pays her way as a barista on the Warner Bros. lot while suffering an endless barrage of failed auditions. When these two meet, there’s a prolonged period before they get together, propelled by their flirty annoyance with one another. Eventually, of course, they fall in love and find themselves dancing with the stars in the sky. But the story develops into something more complicated than just a romance. Love is something that happens along the way for Seb and Mia; but both of them also have career ambitions that, when realized, place a strain on their relationship. Composed by Justin Hurwitz alongside lyricists Benj Pasek and Justin Paul, songs like the opening number “Another Day of Sun” underscore the film’s two-pronged theme. Rows of cars have been stalled on an L.A. freeway, but a young ingénue in a sunny yellow dress bursts from her car to sing about her own impending audition. Dreams of “making it” become the film’s central motif, but given how the opening sequence takes place in a traffic jam, and everyone involved will be late for their auditions, Chazelle will gladly admit the sour side to life in Tinsel Town. In another tune, the melancholy “City of Stars,” Seb croons, asking, “Are you shining just for me?” Indeed, La La Land plays like an ode to L.A. dreamers, some of whom become nothing, while others must make painful sacrifices to achieve their dream. Best of all, there’s not a dull song in the bunch—save for John Legend’s intentionally cornball “Start a Fire”—and each song is more memorable than the last. 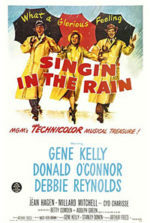 Choreographed by Mandy Moore (not the singer-actress), the film’s dancing seems stagey, if only because Gosling and Stone are not do-it-all performers like Gene Kelly, Judy Garland, Fred Astaire, and Ginger Rogers. 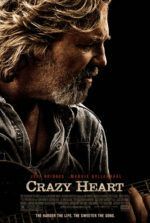 Even though the film’s stars may seem wobbly next to their predecessors, their vocal and dance talents are nonetheless impressive. The footing itself is just a minor component to the overall visual presentation. Indeed, it’s easy to lose yourself in the film’s pastel set pieces by production designer David Wasco, clearly inspired by The Umbrellas of Cherbourg, or the evening L.A. sky whose colors draw our gaze. And while the performers move around open sets, soundstages, or actual locations, cinematographer Linus Sandgren employs daringly fluid camerawork, moving his frame between cars in the opening song or briskly through otherwise cramped interiors—and often in long, brilliantly complicated tracking shots. It might all be superficial if not for La La Land’s leading couple (who also appeared in Crazy. Stupid. Love. and Gangster Squad together), who convey the surprising emotional heft of their characters. Watch close enough, and you’ll see the work of everyone from Vincente Minnelli to Stanley Donen and Jacques Demy on the screen, their styles and sparkle revived for newer generations. If nothing else, La La Land should inspire its fans to seek out classic musicals to see where Chazelle borrows from, including non-musicals. There’s a whole sequence where, after a screening of Nicholas Ray’s Rebel without a Cause, Seb and Mia visit one of that film’s very same locations at the Griffith Observatory. Elsewhere, the film’s very last shot feels inspired by Casablanca, while the bravado penultimate sequence evokes both the painterly dance from An American in Paris or even the dream sequence from The Red Shoes. This incredible arrangement may be the most artful and delightful few minutes put to film in 2016, encapsulating a more romanticized version of the film’s events. To be sure, La La Land may seem romantic and wistful, but from the opening sequence onward it balances reality and romance, the frustrating quality of every-day life and the false allure of Hollywood. 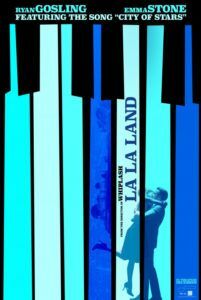 Despite Chazelle’s many apparent influences in the idyllic musical of the 1950s, his dramatics and the heartrending romance at the center of his film prove too significant to disregard La La Land as mere pastiche. Seb and Mia don’t have the kind of pitch-perfect love that leads to a happily ever after finale, as you might otherwise see in the movies. These are modern people with modern problems, such as bills, family pressure, vulnerability, and miscommunication. One of the film’s very best scenes contains no music or dancing at all, just an argument that gets out of control. It’s the sort of argument that can gradually unfold between two people, escalating until both parties say things they regret, things that cannot be taken back. Not since Singin’ In the Rain has a musical blended so much theme and story with unparalleled production value, impressive dancing, and memorable music. (After my screening, I tried to think about the last time a musical had songs as memorable as these—but I couldn’t think of any, perhaps because I was too busy humming the film’s memorable tunes.) A cheerful yet also thoughtful and touching burst of cinematic joy, La La Land manages incredible poignancy amid glamourous stars, a meaningful narrative brimming with laughter and tears, and a fantasia of film literacy. The jubilant effervescence of La La Land proves all the more pleasing for the film’s considerable bittersweetness, which lends the entire picture a sense of purpose beyond its purely entertaining presentation. Despite only a few jazz numbers on the soundtrack, Chazelle has nonetheless created filmic jazz through an inspired rhapsody of influence and innovation, creating a wonderful, new kind of expression.